I remember when I was working for the Provincial Government of Pangasinan, there were these so-called calamity loans that everyone scrambled to get because the interest was so cheap that it was almost-nearly free money. As the name suggested, it was supposed to be something that you used to fix whatever the typhoon had damaged. Well, I used it to fix my Nike craving, haha. I accumulated really good and rare pieces and learned the sad truth that you didn't really seriously train in Nikes; they didn't last long (the pairs I had left in the Philippines had all nearly disintegrated) and if you wanted them to last, you just have to use them as something that complemented your outfit (or showed the shoes off), or to not use them at all- I think I'll never be entrepreneurial nor rich enough to just admire them in their box. What good is beauty or perfection if you just admired it from a distance? (I think this may also mean there's something wrong with your head). It's been a while since I experienced true-blue shoe lust and I felt it again with these Nike Air VaporMax Flyknit SEs. Apparently, an initial version of these (how did I miss it??) 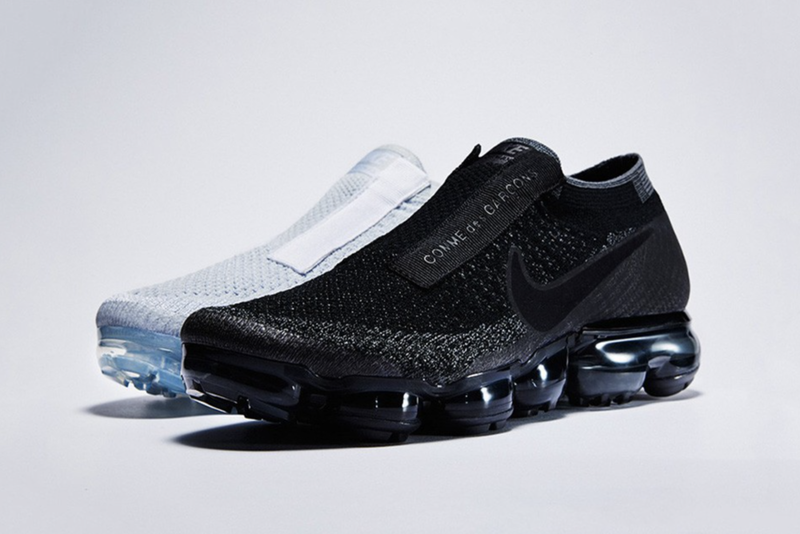 came out early in the year in collaboration with Japanese fashion label Comme des Garcons. 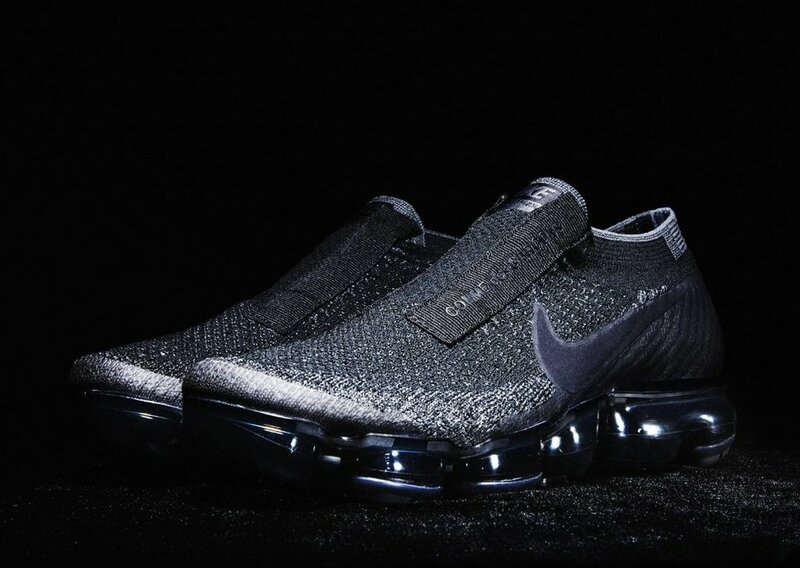 While I think most collabs with high-fashion labels are more misses than hits (a lot of them are downright ugly), the VaporMax CDGs present that clean but avant garde aesthetic that Rei Kawakubo is known for. The shoes get rid of messy shoelaces (which means a tighter fit that is perfect for my narrow feet) and there's this rectangular strip that runs on both sides of the uppers for that streamlined look.